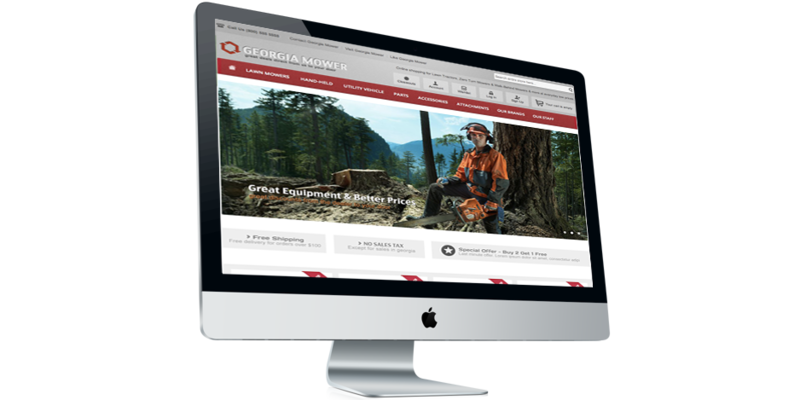 Georgia Mower, is designed specifically for the outdoors power equipment industry. This site is designed to offer customers the best experience while shopping and researching outdoor power equipment, parts and accessories. Many of the advanced SEO features and optimization techniques like the delayed loading of item images makes for a very quick loading site while the integrated reviews and discussion modules for common questions and remarks. The included mobile site which is fully supported by apple iOS and Google Android.